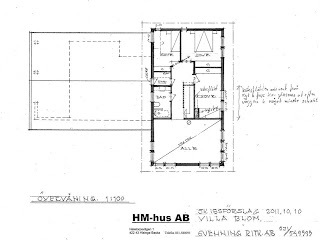 Torbjörn Blom´s Projects: Back to reality! I have just come back from my wedding tripp to Indoneasia/Singapore. It has been a lovely time with a lot of adventures. Me and my beautiful wife can not sitt on a beach for a week so we opted for the more action so we spent 8days diving in maybe one of the best diving spots in the world "Bunaken National Marine Park" it was amassing! I have never seen that amount of coral or the diversity and I have been diving in the Caribbean and the Red sea. After a week of diving we took to the mountains and did some tracking in between the volcanoes. And we ended the trip in Singapore for some shopping and good food before we took the 13 hour flight back to Europe. 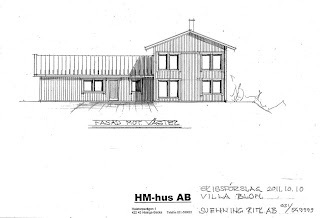 During our honeymoon did we get the first revised plans for our planed house from the architects. It is 85% correct to our planes but we are getting closer to our dream home. So we are going forward for a first quote. The drawings are where ruff and but give an idea of our planes. 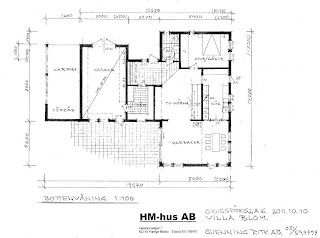 Also is the documentation of lot been done so we have a lot for the house in a few weeks. So the house planes are going forward in a fast pace. During all this have I squeezed in a few hours of painting and finalized a project that I have been on and off for 6months. This is 28mm British WW2 western front squad for "Operation Squad" rules. I am pleased with the result for the amount of hours that I have put in. It have also been a good break from the 15mm painting. I love the figures from "Warlord games" they have a very fine details and the British box are fully modular plastic bits. So I have custom built this for for my rooster for "Operation Squad". Next up for this squad is to paint a 3" mortar and a Vickers HMG. On my paint table now is the remaining Covenant of Antarctica starter box for "Dystopian wars" they are easy to paint so it should not take to long. I am doing a bit of speed painting because of the scale. I hope that I can play a game or two next week. And as this was not enough I have ordered a new rule book "Napoleon at War" and to box sets of infantry for the Preussan army. This is a 15mm Napoleon time scale and is fast paced with similarities to Flames of War. I hope that it will be a good system, I have been looking for a good system that works for the Napoleon era. I will come back when I have the rule book and the figures with a quick review. Until next time. Aim for this fingers instead of the head of the nail and maybe you will hit the head.